Of all my crafts the one I turn to time and time again is crochet. I think that the reason I like it so much is the ease at which you can put it down, bundle it in a bag and pick it up again. It is so simple to undo and restart a faulty section. There are no huge number of stitches to pick up and no catastrophe when a hook becomes separated from a piece of work. However, I don’t particularly like crocheted garments. Except for scarves and wraps, I’m yet to find a pattern that I would be confident that once finished, I would actually wear. I love seeing the crochet blankets (or afghans) across other’s blogs and on pinterest but they are a huge commitment. But the one thing that really tickles my crochet fingers is a great amigurumi pattern. One of my favourite makes of last year was my Gecko. Remember him? He was quite an undertaking but worth every stitch. The original post can be found here. It is with this in mind that I have decided to set my self a challenge of crocheting an amigurumi for every small member of the family. I plan to give them away at Christmas (aaaaargh!) so I have plenty of time. I’ve started pinning my favourites on Pinterest. If you click on the photo it’ll take you directly to the pattern source. This one was crocheted by Clairette Tricote. She recently ran a Laylala CAL on her blog here. The meerkat will be for my dad. He has that same sort of look in the eyes! And finally, this bunny and many others like her have been made by Justyna. Click the image for the link to her blog. First I need to work out what to make for whom. There is also a strippy giraffe pattern I want to find. If anyone has used a successful amigurumi pattern that you think I would like, please leave me a link. I’m off to check on my stash of colourful crochet cotton. Have you blogged your amineko cat? Would loved to see him. Or her? I look forward to enviously eyeing up all the creatures you make between now and then. Thanks! He has pride of place in my living room. I can’t wait to get started. I feel a trip to my local yarn shop coming up! Thanks. It was a great pattern. He is my most ‘pinned’ make. Well I think so but then I love my crochet. My daughter’s friends all took home a crochet cat or owl key ring after the party. They loved them so may be it’s not just us. I agree with you about crochet and how it is less good for clothes. I love all the amigurumi patterns you have found. One day I want to make lots of amigurumi but I spend so much time making blankets! Those are super cute examples. Good luck. I don’t know where to start but I’ve just been given a link to the giraffe pattern so it might just be that one. very cute, i have made a few things for my grand daughter which she loves! Well I would love one if one were made for me! I’ve made the strippy giraffe! Yes, that’s the one I was looking for!!!! Brilliant! Good to meet you and thanks. My gecko is one of my favourite makes. I’ve just started a stripy giraffe. The pattern is really good so I have high hopes for him too. I love these – especially the hippo and elephant. 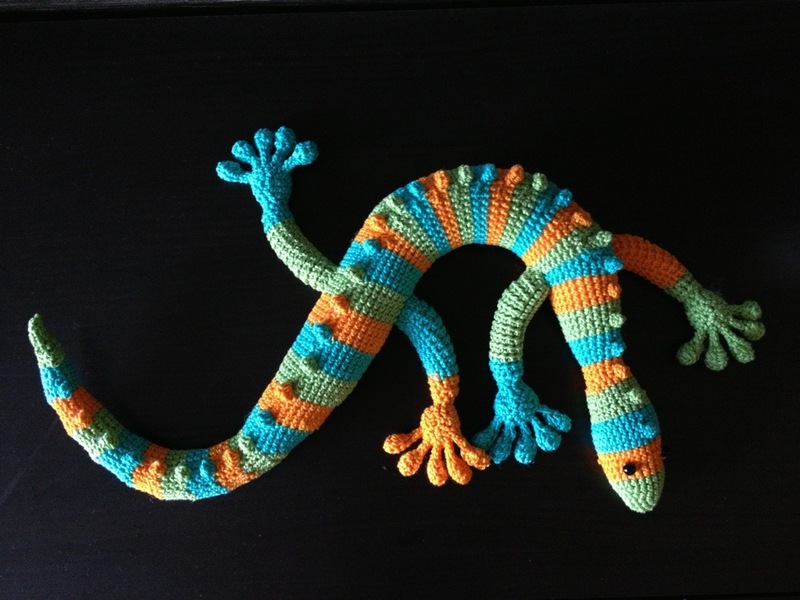 I’m going to bookmark this post to remind me to get a pattern or two so I can make some myself! Thanks for sharing, and be sure to show us your finished products! I will definitely show you my finished projects! I have to show them to someone and my OH really isn’t that interested. Thank you for sharing some gorgeous patterns, I love them all, we must have similar taste, I already have 4 of them in my pattern to do store would you believe. I have also made a few bits from here http://mojimojidesign.com. I know the site well. Her patterns are amazing! And so many of them! These are simply ADORABLE!!! Beautiful work!